My blog is a celebration…it’s all about feasting, celebrations and fun…there are some recipes too…but it’s also about my love for food and celebrating that love! 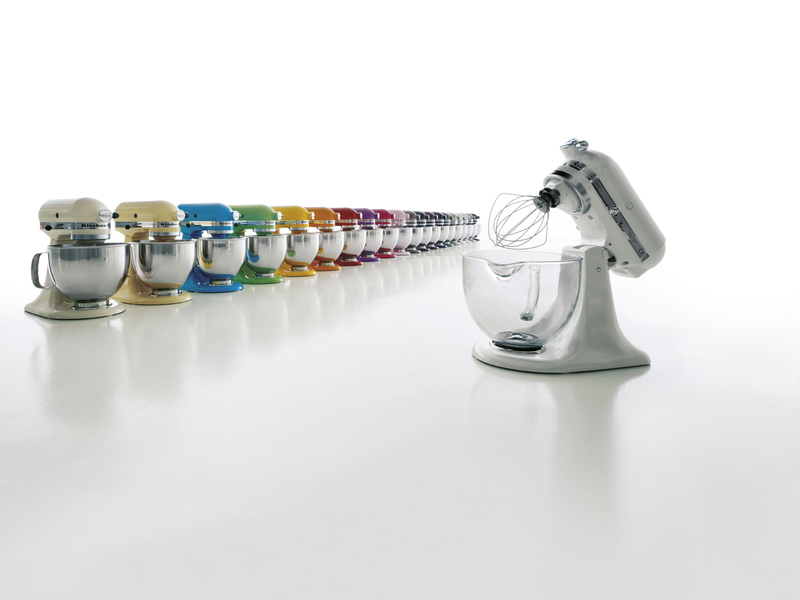 To celebrate joining the Mela team, I decided to give away one of my kitchen must have appliances…A Stand Mixer! And over the past few weeks with all the cooking and baking going on, I have fallen in love with this appliance over and over again! The winner of the KitchenAid Stand Mixer was announced. Renuka Lallbahadur was delighted but it left quite a few people feeling quite blue…so to chase away those blues…I am delighted to announce my next KitchenAid competition….A blue KitchenAid mixer worth R6990 could be yours by entering this competition…..all you have to do is leave a comment…what are you enjoying on the Mela food slot. You have to be a follower on my blog and on twitter! The winner will be announced on Sunday, 13 December 2014! Winners will be announced on twitter and facebook. The draw decision is final. #kitchenaidsa #melasabc2 #yudhika . I enjoyed watching the eid special with the roast lamb & naan, it looked delicious and definitely is a recipe i will try. Thanks for the great cooking yudhika. You are a pleasure to watch. #kitchenaidsa#melasabc2# your programmes always great to watch. Love all the reipes you show us. I am now an adventurous chef thanks to you. #kitchenaidsa #melasabc2 @yudhika. What a great start to remove the blue outta monday. I am an avid mela fan especially when it comes to your cooking, that gives me ideas for sunday family dinner. Thanks for making my life so easy now. Watching #melasabc2 always leaves me feeling festive & jolly. A colourful mixture of fun,food & fashion,Mela with #yudhika is always a festival of inspiration. Now to try that delectable burfee for Diwali…& the Raan for Xmas! Life sorted! #yudhika #kitchenaidsa #melasabc2 I love watching Mela coz you’re just awesome. I love the amazing outfits everyone wears on the show – the stunning eastern wear is just out of this world, the local insert that they had about Harshn Reddy, SRK and his new movie and of course your cooking insert. Let’s just say, I am crazy about cooking and I so wish I had a bigger kitchen! Your eggless cake recipie looked so simple (with the kitchenaid, naturally) , as your recipies usually are and the coconut was a nice touch! This giveaway is fabulous and I would love to win. The colour is so beautiful and it would mean I could bake more often for my husband. He is my biggest fan and I know he wishes I baked more. ‘Time to make the ganache for this decadent cake and it is so easy! Let’s begin…’ I do my best impression of an expert and pretend there is a camera right in front of me…. Whoops, of course I forgot to add the tags …. #kitchenaidsa #melasabc2 #yudhika..Hi Yudhika, I have been watching you on tv for a while now. The standard of your meals are amazing and vibrant. I watch Mela whenever I can for the latest cooking pleasures and I am left delighted everytime.Lately i have tried the gulab jamun recipe… PERFECT, IS ALL I CAN SAY. You inspire me. l simply love watching Mela I think it has all rounders especially Yudhika’s cooking and sweetmeats and everything especially the excellent tips she has even though you old you can still learn. I can certainly do with the blue kitchen aid because I love baking and cooking myself. What U have enjoyed most about #Mela is the fact that the episodes can be viewed more than once, thanks to your video links, #Yudhika! I find it difficult to follow spoken instructions and the videos allow me to pause and rewind as I need to, in order to catch anything I might have missed. As an avid baker, I have dreamed for years of owning a #KitchenAid mixer and this particular one, in this colour, has my name written all over it! I can’t wait to find out whether holding my breath and crossing all my bits all this time is going to pay off! #kitchenaidsa #melasabc2 #yudhika….I didnot watch the last episode of Mela on SABC 2 (30 Nov episode) due to the fact that I had a home invasion on that Saturday and everything was taken but I did watch you on You Tube and as always, u rocked it! Thanks so much Preetha! Hope you well! And thanks again for the lovely words! #kitchenaidsa #melasabc2 #yudhika 💖 Watching Mela, enjoy your cooking slot and now need to get used to the new time change. What a great competition. I have been a fan of you since your recipes were published in the Post newspaper and then I became a fan again when you were featured on Saffron Tv and the Home Channel. I was quite surprised to see you featured on #mela on Sabc2 and started watching you there and following your foodie adventures. Indian food is so creative and exciting but we somehow get stuck eating just the staples and the fusion gets lost. Thanx to you bringing in such an innovation, our hunger for new and improved food has been met. I’m surprised that despite being Indians, lots of us haven’t moved out of our comfort zone and started playing with new tastes and flavours. Your recipes have given lots of us the confidence to start trying out different fusion food and experiment with new styles of cuisine. I’m glad that #melasabc2 has given you the opportunity to wet our appetites for more food and keeping us hooked to their channel on a Sunday waiting to see what new flavour and colour you will bring in. Lovely to hear from you and boy, you have been a follower for years and years! that is truly special…yes Mela does give us an opportunity to share interesting recipes and flop proof ones too! Stay tuned for more magical recipes and adventures! Thanks so much Zakiyya! I love making cakes! Following on Twitter and FB and I subscribe to your blog. LOL you are amazing…love your feedback…thanks and thanks again for watching the show and being soooo enthusiastic about the recipes. thanks so much….PS…anything with Naan has to be a favourite! #kitchenaidsa #melasabc2 #yudhika…never a dull moment with you, Yudhika and Mela. The turkey recipe is easy to follow and I now know that I actually killed the flavour of the turkey with over spicing. Thank you 4 an awesome blog. #kitchenaidsa #melasabc2 #yudhika hi! I only happened to come across your show recently and have since fallen in love with it! Something as simple as your bunny chow recipe was a winner in my home! Thank you! and yet again you havent failed to amaze me with another mouth watering choc burfee recipe. Super love it. #kitchenaidsa #melasabc2 #yudhika..i love the your unconventional approach to the most conventional recipes..i love that you make everything that you do so simple. thank you for making cooking so much fun. Melas cooking slot is the my weekend “pick me up”….am so gonna try the burfee for a a wedding next week..thank you for all your kichen aid! Just loving your recipes, am waiting for the new year for more cooking classes! Much to my delite, i sent Mela youtube link to my sister and friend in Australia. They send their thank you’s to Chef Yudhika for bringing spice, down under. My sister says your youtube videos will make her bow out if the kitchen trying to teach her daughter to cook. Thank you my dear. Its not only us who are privileged to learn from you. I love the colours of Mela. The festive bright colours so synonymous with fun food and vibrance. Your cooking and recipes is also a reflection of the strong vibe that Mela exudes. A virtual food is what Mela brings to readers….& there aint a party without food…glorious food! Glad to hear it! Good luck with the competition! I love your amazing recipes and your gorgeous outfits on mela. The show is wonderful! It’s hard not to love this recipe! BEST OF LUCK! Thanks so much Noelene! Take care….we are struggling to keep up with all the feasting going on here at Holi Cow! #kitchenaidsa #melasabc2 #yudhika The Best Place to be on facebook I just love it to be here many thanks for all your tips and recipes AWESOME so lekker! #yudhika #kitchenaid #melasabc2.Whats not to love about Mela?You make the most complex recipes seem so effortless, then make the most interesting twist to a traditional recipe…whilst exuding such style and beautiful presentation always. I ❤️your Mithai recipes,simply fabulous. Wow! What an awesome day at Holi Cow! The Danone Cook Off was mmmmmmYum Yum. Thank you to you and the Holi Cow team for an amazing experience….we’ll be back for more! # kitchen aid. Amazing experience at Holi Cow learning how to cook Indian food. Opened my mind to a whole new world! Also just had an awesome lunch with great friends, wonderful food and great atmosphere. Thank you and well done! #kitchenaidsa #melasabc2 #yudhika. An awesome giveaway but i think it so much fun having such a cool and always giving Chef as Yudhika. I am crossing my fingers for a Holi Cow to open in Durban. Glued to Mela, or youtube or my nose dtuck in you blog checking and rechecking recipes to thrill my family with. Very few knowledgeable people share their gift freely. Thank you. #kitchenaidsa #melasabc2 #yudhika your blog bursts with enthusiasm for a cook whos still learning the art of cooking & baking! I am a keen follower! #kitchenaidsa#melasabc2# love watching Mela on Sabc 2 whenever I get the chance. With my new grandson around it gets a little bit difficult. Having this I’m my kitchen will definitely give me more time. Love your recipes. #KitchenAidSA #MelaSABC2 #Yudhika…i love food and i love to make food and my biggest joy is to watch people eat and enjoy my food cos like all mums..i make it with the specialist ingredient..LOVE!